The world loves a bad boy. Don’t believe me; let’s take a look at Charlie Sheen. The man’s a mess. He says he isn’t, but it’s pretty clear to the rest of the world that he’s one take short of a television show. Despite all his problems and the fact that he is currently unemployed, he’s never generated more publicity or more interest in his entire life. He’s the hottest thing online and we can only watch in envy as he rides what could turn out to be the most successful viral marketing campaign of all time. If you think the success of his campaign is unintentional, think again. A lot of what’s going around online is not generated or sanctioned by Sheen, but that doesn’t mean he hasn’t indirectly orchestrated it. Everyone knows about Charlie Sheen’s penchant for booze, drugs and women (that’s plural). People in Afghanistan who have never read a newspaper, listened to a radio or seen a TV know about Charlie Sheen. And they’re probably also up to date on the latest events, which include an insane rant about Two and a Half Men producer Chuck Lorre, a dig at John Stamos (rumoured to replace him in the show), diatribe’s against anyone who dislikes him and taking over Twitter. He has over 1.5 million followers and holds the title in the Guinness Records for reaching one million followers in the shortest time – 25 hours 17 minutes. Do you remember when Ashton Kutcher and challenged CNN to be the first profile to reach one million followers in 2009? It took them a lot longer and lot more effort to hit the magical figure and Sheen practically did it with his eyes closed. What makes Sheen a viral marketing success? For one thing, he goes large. His lifestyle is dedicated to excess and he believes unequivocally in his larger than life personality. So when he opens his mouth and words come out people stop and listen because they know that they’re going to be entertained. He really, truly doesn’t care what anyone else thinks. As he said to US shock jock Howard Stern, “I don’t have much of a reputation left to ruin.” This gives him the freedom to say anything he wants and get away with it. Oh sure, people are aghast and ask very publically how he expects to get away with it and he just tells them to sod off (or a cruder variation). He’s the single most entertaining person on the planet at the moment and that is viral marketing gold. Some enterprising souls know a good thing when they see one and while everyone hangs onto Sheen’s every word, they’re making sure his word gets out in as many forms as possible. 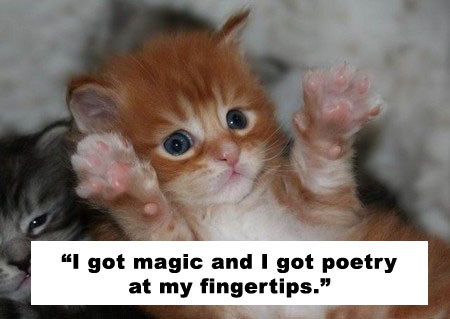 You’re no doubt aware of LOLcats (also known as icanhascheezburger), the whimsical cats with (witty) captions. Well, Medium Large has combined two popular memes to give us cats with Charlie Sheen quotes. You can also find Charlie Sheen quotes presented by baby sloths, but the cats are better – I think it has to do with attitude. UK’s Guardian presents the Charlie Sheen Muammar Gaddafi quote off where you have to correctly attribute ten quotes to either Sheen or Gaddafi. I got 6 out of 10. Apparently if you get more than 8 out of 10 you’re doing very well. You could spend the whole day just clicking in disbelief as the craziness rolls on. See Pop Eater for more outstanding Charlie Sheen memes. In the beginning of this post I said that Sheen’s viral success is not unintentional. There is method to his extraordinary madness and the goal is money. Disappointing, isn’t it? You see, Sheen used to be the highest paid star in television (he was earning something between $1.5 and $2 million per episode) and now he’s unemployed but he still has a lavish lifestyle to fund. So, in his own words, Twitter is a “cash cow”. The Washington Post reports that celebrities can earn as much as $25 000 for one tweet. One tweet! And that’s not counting the various product endorsements that are up for grabs. He’s already had an offer from L.A. Beverage Group to promote an energy drink. Brand Channel reports that the offer came after Sheen posted a picture of him and his girlfriend posing with a chocolate milk and one of the company’s drinks (Naked juice) respectively. It wasn’t intentional but like a social media marketing minded firm, L.A Beverage Group latched onto it and offered Sheen $3 million to promote their drink Just Chill. They attached a couple of provisos that Sheen would never agree to (rehab for one), saving themselves $3 million and getting loads of publicity in the bargain. It was genius. 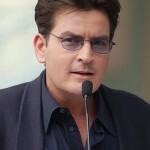 If you want to kick start a global viral marketing campaign you could follow in Charlie Sheen’s footsteps. All you have to do is not give a toss what people say or think, speak loudly and make random aggressive comments. Or you could learn from L.A Beverage Group and piggy back your digital campaign on top of someone else’s controversial in-your-face campaign and give it a positive twist. You could come out smelling of roses with more publicity than money can buy. Or you could learn from L.A Beverage Group and piggy back your campaign on top of someone else’s controversial in-your-face campaign and give it a positive twist. You could come out smelling of roses with more publicity than money can buy. ab for one), saving themselves $3 million and getting loads of publicity in the bargain. It was genius.